choice of color the effect of colors on the space selling your house? Choosing the right colors for your home can be a process filled with desperation. Are you going to choose sunny yellow or cool blue? Do you prefer sparkly white of stylish grey? Think about what suits you, your style and your home. Also take a look at our page Show your colors. 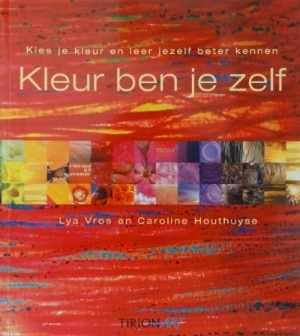 Ons advies: maak uw kleurenkeuze bij voorkeur als u vrolijk bent en lekker in uw vel zit. The colors that surround you influence your mood. But it also works the other way around; your mood at the time of choosing colors for your home interior will affect these choices. This is why we advise to go color shopping when you're in a good mood and feeling happy! Next, think about what you want for your space and what colors suit your personality. For the outdoor paint jobs, see what suits the style of your house and what suits you. Also, keep the style of the houses in the surrounding area in mind. Do you want your home to match or do you want your house to stand out? BSC Painting primarily works with products of the Antilliaanse Verffabriek - Antillian Paint Factory - (of Krioyo Paint) This is high quality paint and suitable for the tropical climate of Bonaire. The paint is available in an infinate number of colors. We have the color charts in our shop, but you can also consult them at Krioyo Paint. Or take a look at the website of the Antilliaanse Verffabriek for inspiration. We're happy to help you with your color choices! The coice of color will not just determine the atmosphere of the space, but also its optical experience. The colors and various color intensities in your interior or on your porch determine the optical experience of the space. If you want the space to look more broad, higher, lighter or warmer, take a look at our suggestions below. For a spatial effect you paint your doors in the same color as the walls they're in. The space will seem broader when you have a certain wall painted in a darker color and the opposite wall in a lighter color. When you want the room to appear smaller just paint the largest walls in a darker color. The optical effect of certain colors depends on the actual height of the ceiling. When you have a low ceiling, a dark color will make the room even lower. When the ceiling is already high, the same color will make it appear even higher. With light colors you reach the opposite effect. A high ceiling in a light color appears lower. A low ceiling in a light color appears higher. A space will get an extra light effect with soft pastels. Just don´t use too many pastels or the space will lose its energy. Especially red and orange tints are wam colors. They will look beautifully in your interiour but mind that too many of these powerful colors can get to you and make the space appear smaller. Blue and blue derivatives are cool colors that give a broad effect on the space in which they are applied. Whether you choose soft tints or bright colors, you'll enjoy your home the most when its colors are in balance. You can reach this type of harmony by choosing colors that match and that derive from the same tone value family. Like tone value, the usage of one particular color in your interior will create a feeling of balance and peace. It might be less exciting but it does add harmony to a space. Yellow, blue or blended walls can look beautiful in a house. Bonaire is a colorful island so why not apply the Caribbean atmosphere to your home! However, when you're planning to put your house up for sale, it's better to rely on peaceful and unified neutral colors rather than a variety of bright colors and designs. This way, the potential buyer can focus on the possibilities of your home and dream about how it would be to live there. Even with tastefully colored walls, this is much more difficult to imagine. On top of that, the chance of the colors being are exactly to the viewer's taste is very small. So, we advice to style your interior as neutrally as possible. Not just the paint jobs, but also the curtains and furniture. Choose soft, light colors. Of course small Caribbean details can create the right atmosphere - after all the buyer is looking for a home on Bonaire, not in the U.S. or in Europe - but use small accessories and details for this.